I wanted to pass this message on from Toby’s westerns site. It’s a shocking state of affairs to say the least, and all of us who care about the movie, or just the legacy of cinema in general, need to pass our feelings regarding this along to the studio. Read Robert Harris’ report on the elements and MGM’s crappy attitude here. And if a letter-writing or Facebook-flodding campaign gets going, hop on it. Today sees this site passing another little milestone. There have been one hundred thousand views since moving to the WordPress platform – a very pleasing statistic as far as I’m concerned. It’s an opportunity for me to send out a big thank you to all the visitors, commenters and contributors – it’s you (and you all know who you are) who make the whole thing not only possible but a pleasure too. I also thought it might be nice to let people see which posts – excepting hits on the home page and index – have drawn the most traffic so I’ve added a graphic below featuring the ten most viewed. 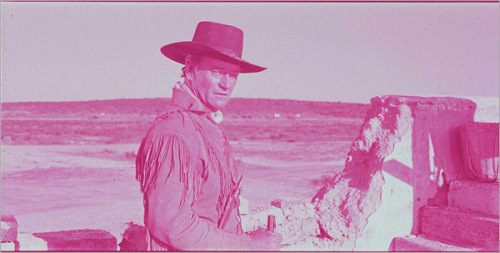 It seems clear enough that westerns and western related material are easily the most popular.